Today home security is main concern for every home owner since many cases of burglary and murders are reported in even metropolitan cities where tight security is beefed up to nab burglars. To avoid any unwanted event every home owner should take up security measures such as fixing tower bolts, sliding bolts, locking bolts etc. and security locks on door shutters. These bolts protect us from stray animals etc. whereas locks are provided on door shutters for protection against burglars/intruders. 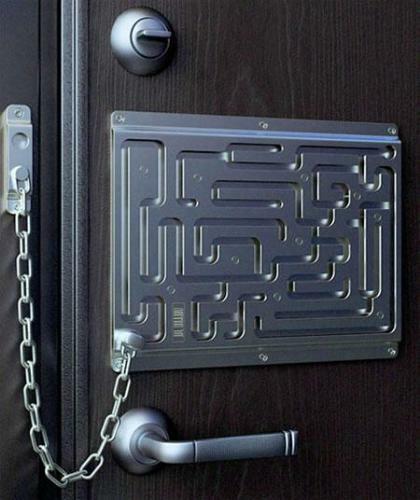 Security locks are our first line of defense against intruders. Generally, two types of security locks used for security of the house are following. This type of security locks are manufactured from metal sheet in different makes, sizes and qualities. These locks are used to close door shutters with the help of sliding bolts. Pad locks are generally operated with keys. These types of security locks are manufactured from metal sheet in different makes, sizes and qualities. These are fixed in the frame of door shutter or fixed inside the frame of door shutters. Only key hole is visible from outside in both the cases. There are many types of hidden locks available in the market. Some hidden security locks are given below for your choice. There are two types of door knob locks. Dead latch locks provide slightly more security as compared to spring latch locks. 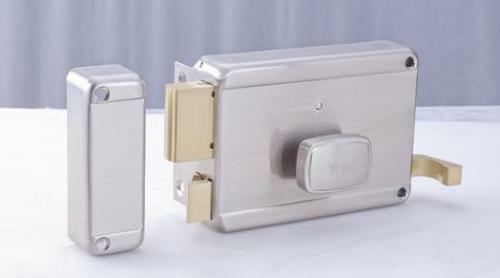 These security locks offer only minimal protection and should be used for interior doors. These locks offer the best protection. Hence they should be used on all exterior doors. Make sure that locks you use have bolts that extend at least one inch into the wall. The locks are made of solid metal with no exposed exterior screws. Some dead bolt locks also offer free-spinning collars which prevent intruders from removing the cylinder with a wrench or vice grips. Deadbolt locks come in two types which are given below. 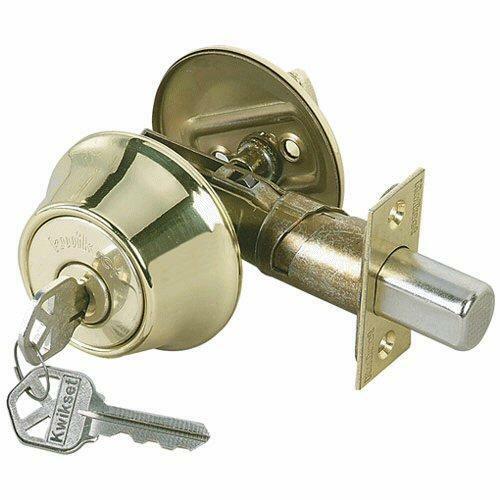 Single cylinder locks operate with a key from outside and a thumb lever on the inside. These locks are operated from inside without key. So these security locks have disadvantage that if any intruders enter the house through window etc., he can easily escape from the house by opening the lock. 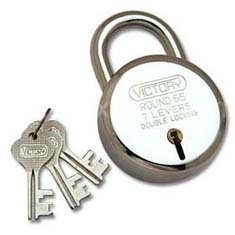 Double cylinder security locks are operated with a key on both sides. These locks offer better protection; if a burglar enters the house through a window, he or she cannot open the door without a key. Many homes also have chain locks and people often use these as night latches. Chain locks are usually mounted with short screws and have weak chains. They are not recommended as a primary security device. It’s a lock having a separate latch and dead bolt mechanically interconnected and installed in round bore openings in the face and edge of a door. It is best known for providing dead bolt security with life safety feature. 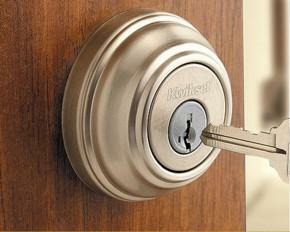 When dead bolt is projected, a single turn of inside knob retracts both dead bolt and the latch bolt. Latches can be operated from inside and outside. They are provided with a thumb turn knob fitted on the handle in order to close door from inside while the compartment is in use. Mortise latches are generally used on the doors of bathroom, WC and on the doors of private room also. These do not have arrangement of key for locking. The latch bolt is operated easily and freely from both sides of doors to which it is fitted. Locking arrangement from inside should also be operated freely and easily. Common sizes of Mortise Dead Latches are 65 mm, 75 mm and 100 mm. Mortise lock is a metal case containing operating part of the lock, set into a mortise cut in the frame of door shutter. These security locks usable for both internal and external doors consist of a latch bolt and a lock bolt. 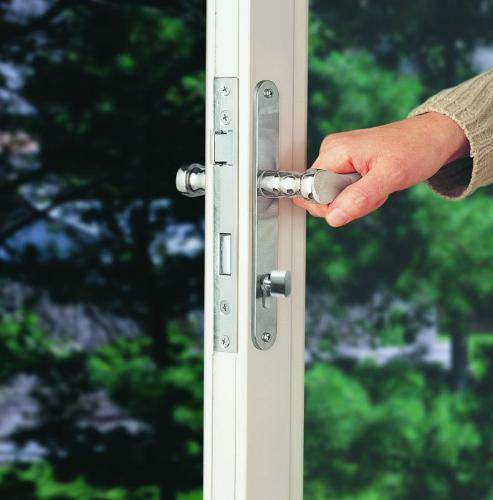 For internal doors in continuation use, the lock contains a latch bolt only to keep the door closed. They are horizontal mortise locks and vertical mortise locks. Rim lock is more suitable for use on back or side door in conjunction with top and bottom bolts. It should not be the main lock chosen for security on external doors. It is fitted to the inside of the door with screws. This type of lock is operated by a key and can be opened from either inside or outside of the door. The locks are made of solid metal with no exposed exterior screws. 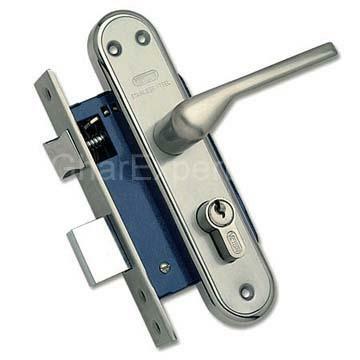 Mortise locks become very popular due to high security, easy to maintain and give aesthetic view. The article gives us lot of information about the mortise lock, its various parts and function.